Piece was selected to be displayed in a juried art show at the Schacht Gallery in Schuylerville, NY. 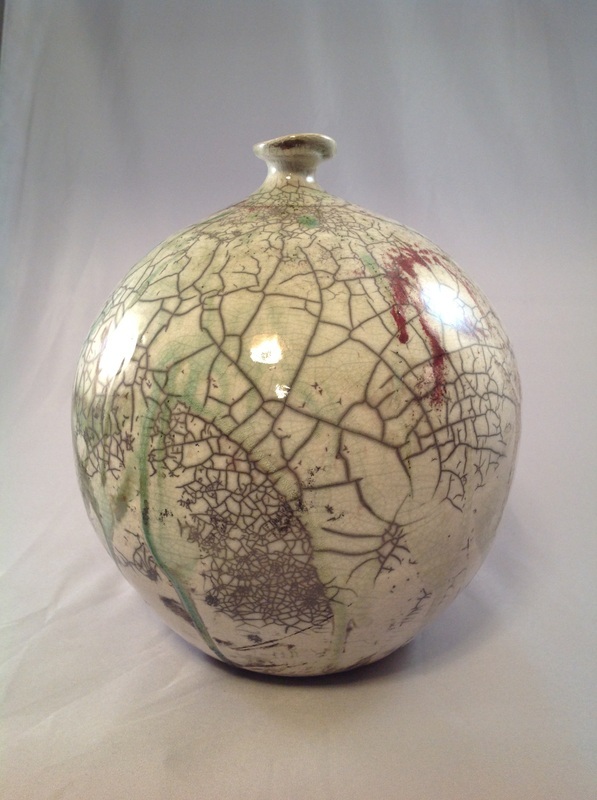 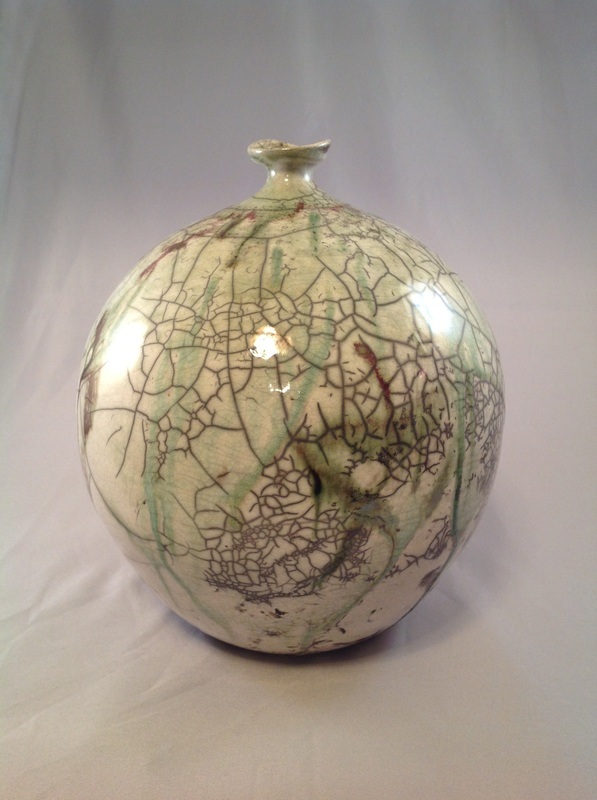 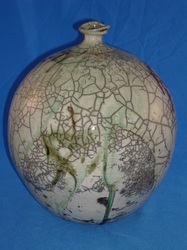 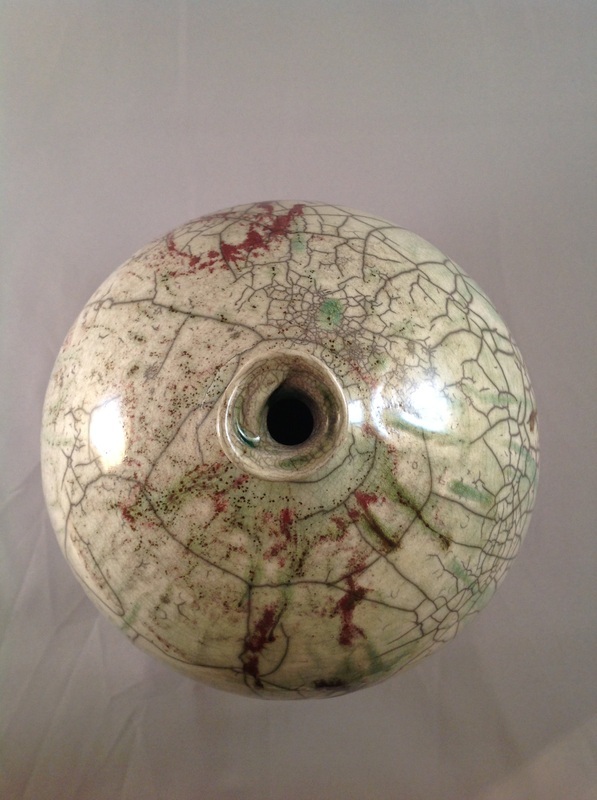 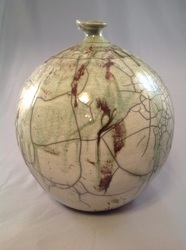 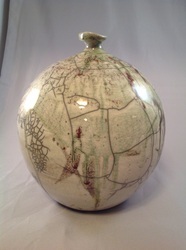 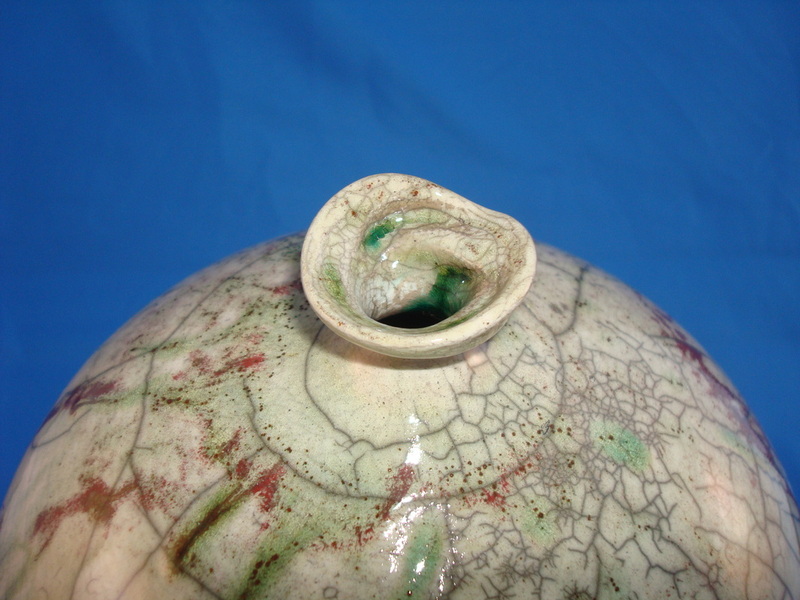 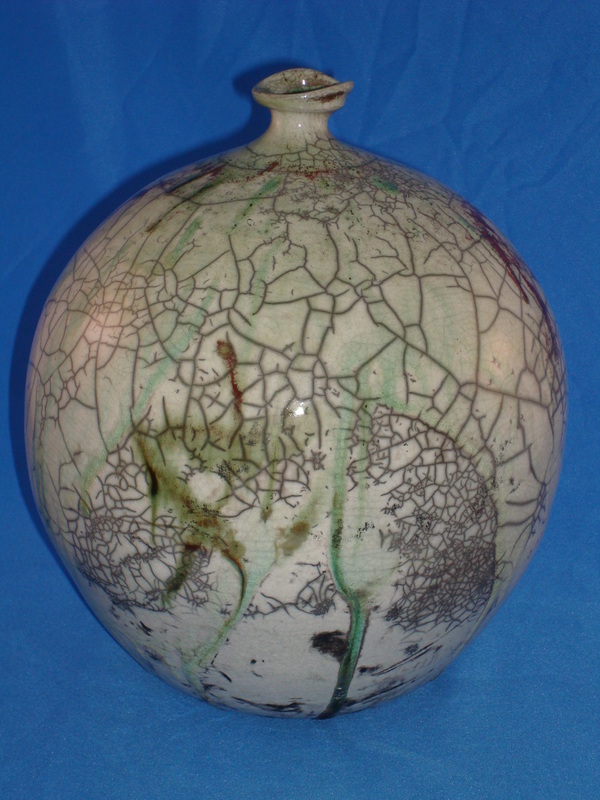 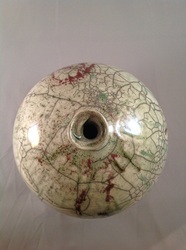 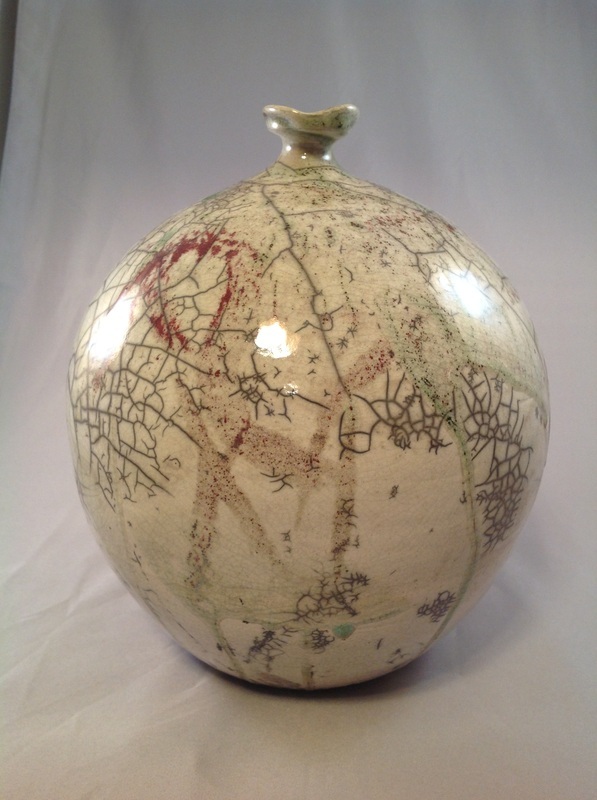 This Raku bottle is titled "Crackle Globe" and measures 8.5" tall by 7.5" wide, price at the gallery is $200. 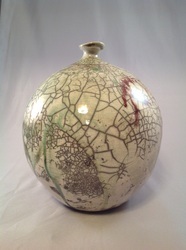 The show opening is December 8th from 5pm-7pm.